in this post im going to detail what information/inspiration i`ve gathered from various materials these past few weeks. this is an interview with the legendary Michel Ancel, the genius behind beyond good and evil, one of my favourite games ever. and the also good, rayman series. 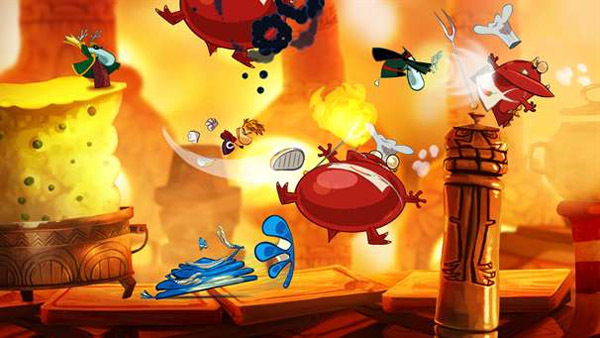 his newest rayman game is an ambitious and gorgeous 4 player, 2D platformer. obviously not sprite based but gleamed some good information about 2D development in a modern title. GamesRadar: In making Rayman Origins, how has the reception for other previously 3D games that went back to 2D, like Mario, Sonic and Mega Man, influenced you? My feeling is that LittleBigPlanet did the first official move toward playing four at the same time. But in my memory, it’s more the good old Bomberman games, or all the tennis games, the 2D tennis games. You were able to play four and five with Bomberman, or even eight on the Saturn. I don’t know, there was one console, it was crazy. GR: I think it was 10 on Saturn. MA: Yeah. And it’s just… it’s not an innovation, it’s just like if we were remembering that 2D makes possible this kind of thing. 3D, you have the camera, it’s very hard to contain the players, or you have to split the screen in 10. Can you imagine? But here in 2D, you have this overall view, and you can make people interact with each other. So I can’t wait to have games where you can play eight. Of course, it’s difficult. Maybe everybody comes with his controller, and you can play. With this engine, you can play 10 if you want. There’s no limits, just input limits. But it’s just that it was fun, and we just realized that the technology moved too freely, but this old fun is now moving back to 2D, it makes old things able to come back. And with the HD screen, it’s better. he mentions some point`s ive raised before in last years essays. innovative 4 player games are (obviously) easier to create in the 2D format being how it`s more intuitive and the camera is less obtrusive. an adherent advantage to simple 2D gaming. i used this site a lot when first learning how to create pixellated characters. it`s a good starting point but i feel i`ve progressed a lot with the style thanks to my own experimentation and animation techniques. the site also contains resources on pixel buildings, menus and other elements which will no doubt come in handy later. PG:So, what made you decide to make TFA a retro side-scroller? It’s not exactly the first genre I think of when I hear TF2. ER:Well, anyone who knows my work understands that I’m a big fan of a simpler time when games were a little easier to just pick up and play. I kind of miss games that have a limited number of buttons and functions. This usually means that the SKILL is what separates players from each other and not just unlocks, downloaded items, key binding, etc. accessibility and skill. something that`s been a lost a bit in contemporary games thanks to excessive tutorials and casual markets. will be using for further research down the line but it`s just bookmarked for now. interestingly he has a demake of left for dead which I will definitely have to give a try. fez is a 2D game which uses a mix of perspectives to manipulate the environment and solve puzzles, and in brilliant pixel form. it`s still to be released so more information and interviews should trickle in shortly. the game itself is a shining example of how 2D is better suited for more ambitious concepts which could be difficult to convey, that and it`s also a example of modifying the style of retro games, and not the limitations. According to Metacritic.com, Risky’s Revenge was the highest scoring DS game of 2010. Did you expect such a positive reaction? We were hoping to set a new bar on DSiWare, but I don’t think we expected to be the top on DS overall. So that was a surprise! I hope the high ratings will attract more players to the game. I can go on and on about how much I love the game, but word of mouth from fans and reviewers is much more important. The 2D layering effect strikes us as something that would work brilliantly on 3DS. Any plans to take Shantae in that direction? We’ve talked about it at length. 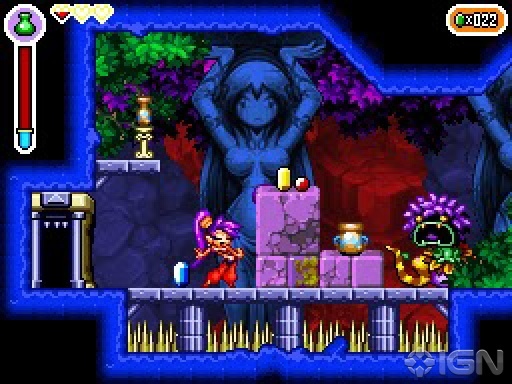 But if we did a Shantae on Nintendo 3DS, jumping layers might just be the tip of the iceberg. 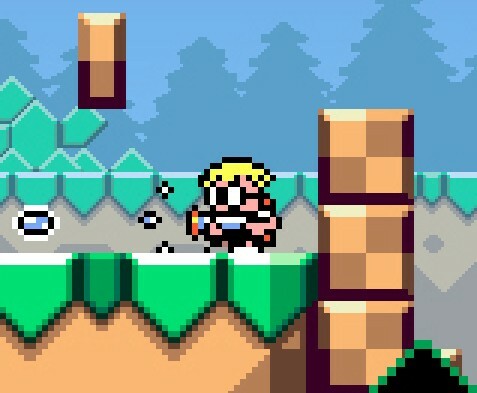 2 things worth talking about, for a 2D game (and a digital download, AND a relatively unknown franchise) shantae manages to have such extremely high critical praise, and in regards to 2D layering working well on the 3DS, max and the mutant mudds is using that exact same concept to great success. a technical trick worth noting. i`ve mentioned in previous posts that sprite graphics are integral to our culture and something that was born exclusively from videogames. the berlin videogame museum has a large focus on older games with retro graphics. the museum was shut down for a stint but brought back,so some people are clearly passionate about our videogame heritage. and it deserves to be preserved and kept for future gamers to see. it`s a vague remark but im sure I can relate to this establishment later on when talking about the influence of retro graphics. The visual style of Infiniminer is a really interesting one, since it both leaves a lot up to the imagination, and is highly representative (if a bit iconic in style), and suits tiny development teams very well. 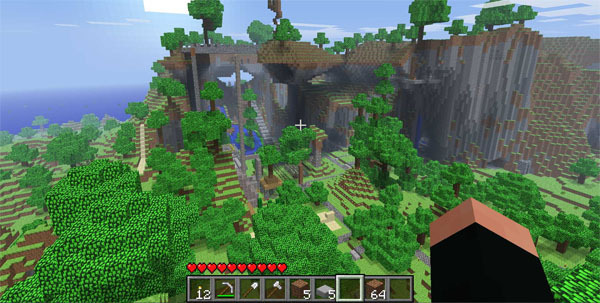 Not to mention it makes it possible to display millions of blocks at high framerates! 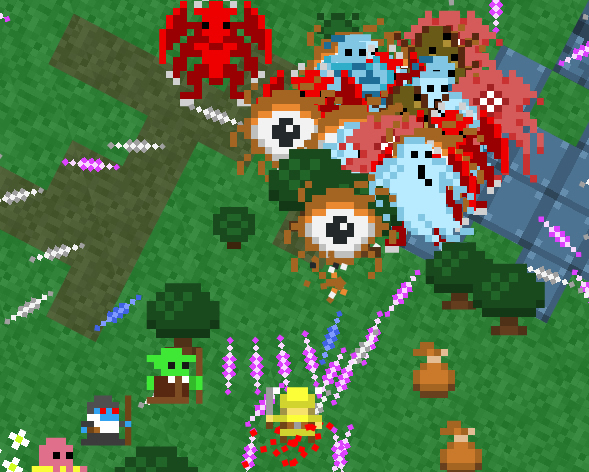 there’s another game which uses it low res assets to it`s advantage called realm of the mad god. it`s a mmo which involves a large numbers of players playing bullet hell against bosses, the game ha s a permanent detah feature, something I doubt you`d see in a contemporary title and I applaud them for trying something new. the undemanding sprite style let`s developers test out risky ideas such as this. so aside from being aesthetically pleasing to nostalgia nut`s it can be useful to creative developers. What’s that, you say? Batman: Arkham Asylum is the best licensed game ever? It captures the essence of the original license and then explores it through completely fitting gameplay mechanics like no other licensed game in existence? WRONG! That was the case, but now we have Black Lodge, a simulated Atari 2600 game by Jak Locke, based on Twin Peaks. It does all the things Arkham does, but thanks to its brutally unsophisticated block-o-vision nature (rather than despite it), it actually does them just as well if not better. a fascinating statement which if true could help me a lot in making a point for the use of retro graphics. but obviously I`ll have to give the game a test run myself at some point and scrutinize it`s merits and see what i can learn from it. the artwork featured on the carts it`s great and really gives you an impression of the game. and as i`m now coming to the realisation that the style doesn’t have to be underpinned by the limitations of the era (3D in the bit.trip series and the objects on-screen in dark void zero) detail is an important factor in order to stay contemporary. 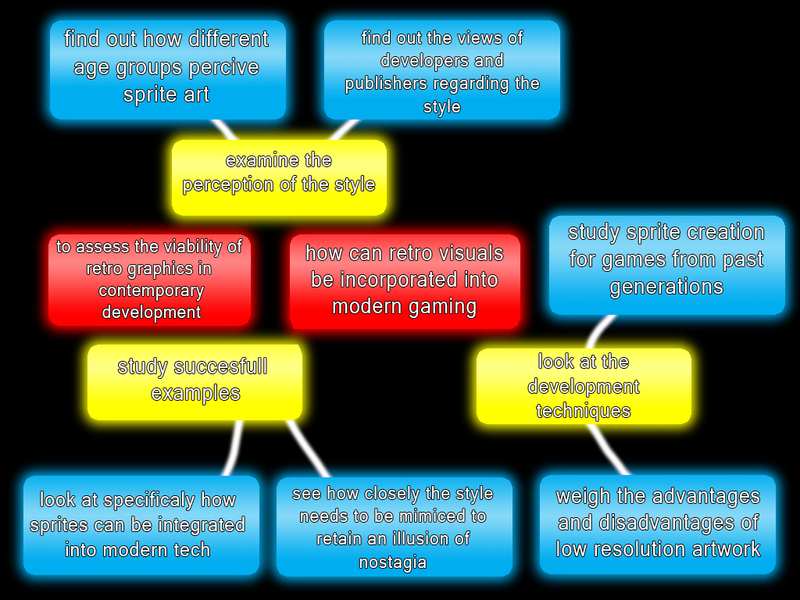 it`s a mixture of all of these things which have helped shape all my mind maps and aims throughout the past weeks. i`ve decieded to give the project aim one more iteration in light of all of that and here it is. i`ve been making my blog post`s quite high in volume and content, i mean i have been doing plenty of work and reasearch into the subject.but im actually a bit apprehensive if i`m on the right track or it`s a worthy subject. i`m just hoping that some of the posts have something worthy, or if the topics will be worth looking into.